Get ready for a fun and active workshop! During this session we will explore the intricacies of inventing simple intangible games (games with no equipment), followed by concepts augmenting that experience with connected technology. You’ll walk away having exercised the part of your brain to better understand gesture/movement design, social design, and design of simple game mechanics. Ko is a Seattle-based designer and teacher. His life’s devotion is the study and practice of designing across mediums. 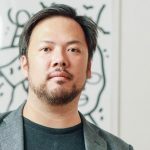 He has been a vehicle concept designer at Nissan, entrepreneur-in-residence at Samsung, designer of virtual classrooms at Blackboard, associate professor of IoT/AR design at Academy of Art, and a co-founder of a client-participatory consultancy, Potluck, working with Adidas, Young Guru, and other trend-setters. He currently leads a design team at Amazon.